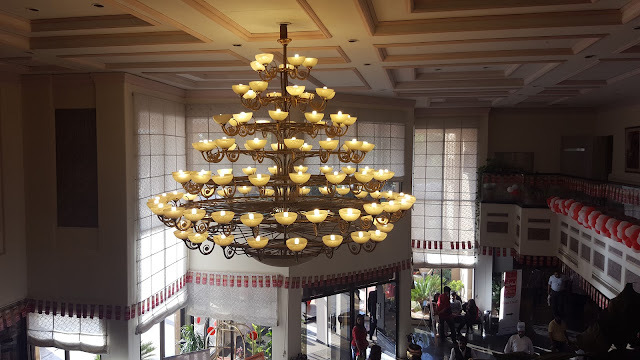 Islamabad’s 5th Literature Festival started on 14th/Apr (Friday) here at a local hotel. 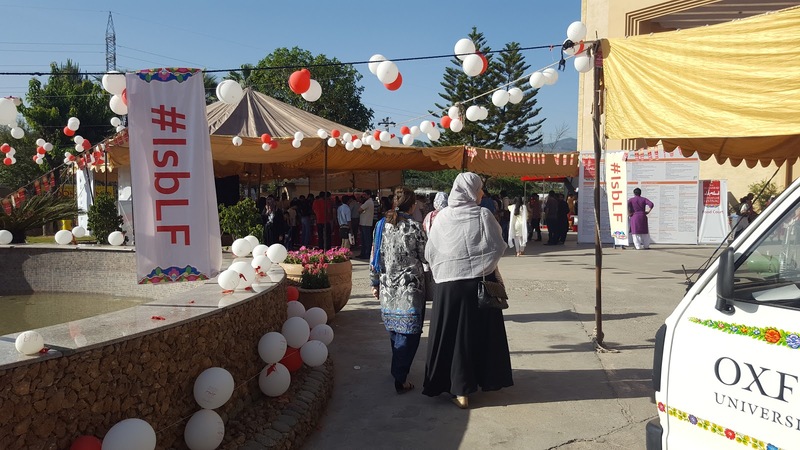 The festival featured a line-up of around 150 leading Pakistani and international authors, academics, journalists and artists along with exhibitions, book fair and a sumptuous food court. The three-day festival was organized by Oxford University Press (OUP). 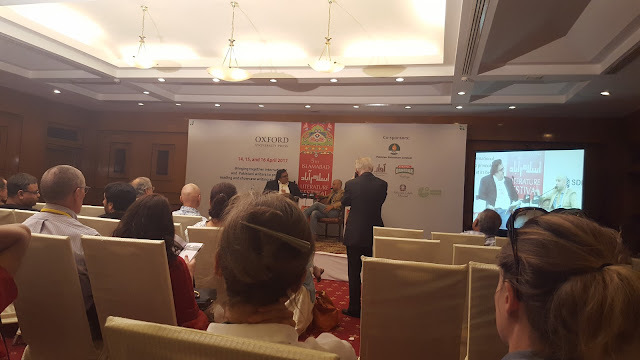 The three-day festival was organized by Oxford University Press (OUP) while this year the event was sponsored by Pakistan Petroleum Limited (PPL), AWAAZ, Tapal, Sustainable Development Policy Institute (SDPI), Goethe Institute, Embassy of France and Embassy of Italy. After the inaugural some other sessions were held on interesting topics – Judiciary and the common man had Ashraf Jahangir Qazi, Afrasiab Khattak, and Bushra Gohar while the session was moderated by Mujahid Barelvi; a conversation between Zulfiqar Ali Kalhoro and Elisa Iori was held on heritage and social mobilization in post-conflict reality; Prison Narratives, a book by Akhtar Baloch held the complete attention of the audience. Renowned writer Mohammad Hanif discussed the burden of a translator for searching appropriate words while writing. 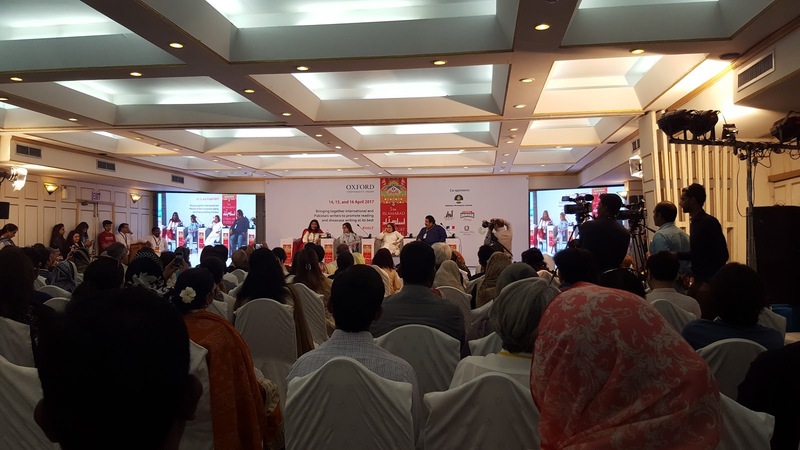 Islamabad April 15th, 2017: Many literature lovers thronged the 5th Islamabad Literature Festival on its second day marking remarkable success for a large number of interactive sessions, dialogues, performances and literary activities here at a local hotel. According to details, residents of twin cities portrayed their unbiased love not only for literature but for the literary icons belonging to different countries of the world by visiting the capital’s Literature Festival. Many interesting sessions such as “Preparing the Citizens of Tomorrow,Lost Heritage: The Sikh Legacy in Pakistan, Where has all the Water gone?, Gender Violence, Law, and Power in Pakistan focusing on feminists’ struggle for justice and equal rights, Mohabbat aur Dehshat Gardi: Aaj ka Urdu Adab, English Poetry: The International Muse were held with a special session on "Women and Excluded Groups in Political Parties and Legislative Bodies". On the eve of the second day, ILF hosted an amazing Mushaira (poetry recitation) which was moderated by Shakeel Jazib. Leading poets from the twin cities and other parts of Pakistan including Kishwar Naheed, Iftikhar Arif, Imran Aami, Saeed Shaariq, Saeed Ahmad, Qamar Raza Shahzad, Harris Khalique, Ali Akbar Natiq, Manzar Naqvi, Zia ul Hassan, Akhtar Usman, Sarwat Mohiuddin, Qasim Yaqoob, Rehman Faris, and Nasira Zuberi read from their writings. Islamabad April 16, 2017: Islamabad’s mega literature celebrations ended yesterday (Sunday) as the Fifth Islamabad Literature Festival concluded here at the Margala Hotel. The success of the event could be gauged by the large number of vibrant participants who attended on the three days. The key note speakers at the closing ceremony of the fifth Islamabad Literature Festival included famous poet Iftikhar Arif, Omar Shahid Hamid and Nafisa Shah. The concluding address was delivered by Oxford University Press MD and founder of ILF Ameena Saiyid and Co-founder Dr. Asif Farrukhi. 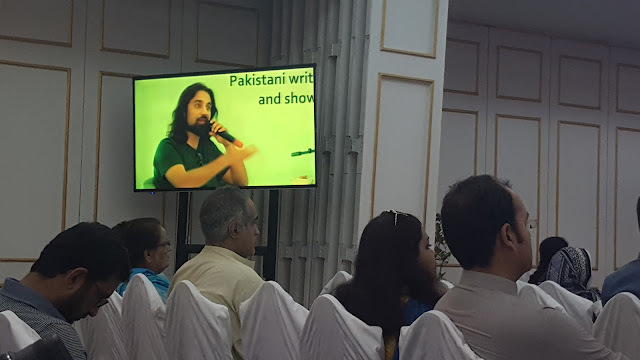 Renowned poet Iftikhar Arif praised the ILF organizers for a unique gathering of intellectuals, poets, writers and journalists under a roof to have detailed discussions on a variety of topics including literature, politics and current affairs. Literature could become the major tool to achieve positive societal changes, he further added. ILF started its third day with some amazing interactive sessions, dialogues and book launches. 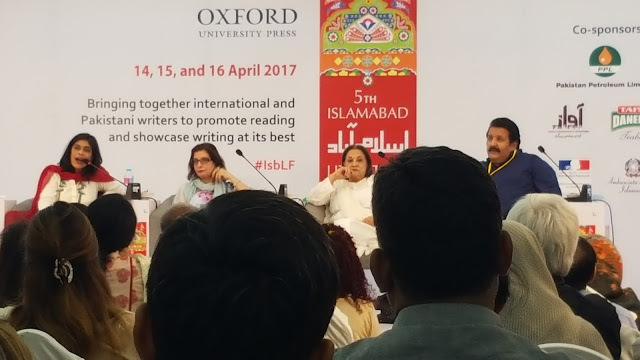 However, the last day of ILF was dominated by renowned artist Anwer Maqsood as he had a session “Uljhay Suljhay Anwar which was included the author his wife Imrana Maqsood, Hoori Noorani and Sarmad Khoosat. A house-full at the session presented a huge tribute to the living legend. President Azad Kashmir Sardar Mohammad Masood Khan participated in the session “Kashmir: Two Sides to a Question The future of a dispute: Is a solution possible?” In another session “Murder between the covers: Crime Fiction, two crime writers Omar Shahid Hamid, Sabyn Javeri discussed their creative journey”. Harris Khalique’s book Crimson Papers: Reflections on Struggle, Suffering, and Creativity in Pakistan was also discussed in a session with Navid Shahzad, Afrasiab Khattak, Harris Khalique, and Rasul Bakhsh Rais. Social Media aspects were also talked about and “New strategies for creativity and change” were discussed between Adnan Khan Kakar, Leena Hashir, Moeed Pirzada, and Slimane Zeghidour while Wajahat Masood moderated the session. On the ever popular Dastangoi based on Ismat Aapa aur Unki Kahanian from Ismat Chughtai's Kaghazi hai Pairahan and her short stories ‘Chirri ki Dukki’ and ‘Amar Bail’ had the audience fighting for space. In another session on ‘70 Years of Pakistan: A Reflection on Pakistan’s History’ with Sayeed Hasan Khan and Ishrat Husain, moderated by Arfa Sayeda Zehra. The session ‘Will Technology Influence Music?’ featured Noori’s Ali Noor, Rakae Jamil, Masuma Anwar, Akbar Yezdani and moderator Taimur Rahman. Starting off the session, Laal spokesperson Mr Rahman said technology has always impacted the arts and music. Mr Noor said technology has become paramount for live performances which are complicated, because artists need to be able to hear themselves to play well. “For me, the biggest problem was the people who were providing sound and technology in Pakistan had nothing to do with music. They were people who were doing car rentals and began new businesses renting sound equipment,” he said. 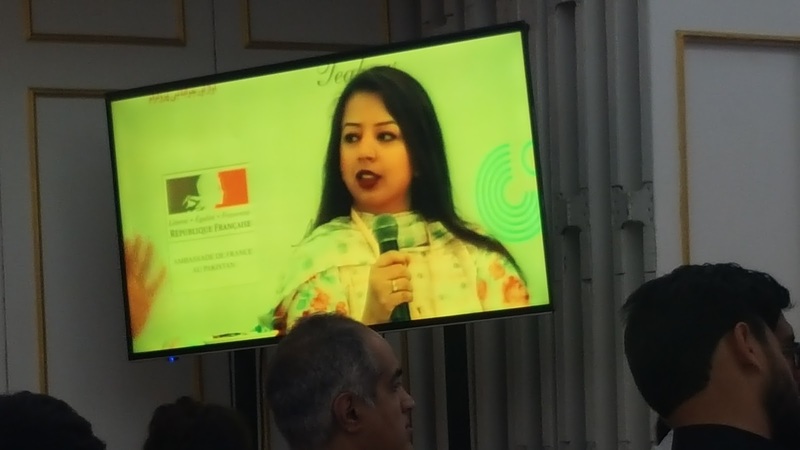 Nimra Bucha moderated a session “Small Screen Intimacy and Big Screen Splendour” along with participants Samina Ahmed, Rehan Sheikh, Seema Taher Khan, and Sultana Siddiqui. A one-man mushaira conducted by Syed Nusrat Ali, an unassuming management consultant and motivational speaker who stole the show on the final day of ILF. 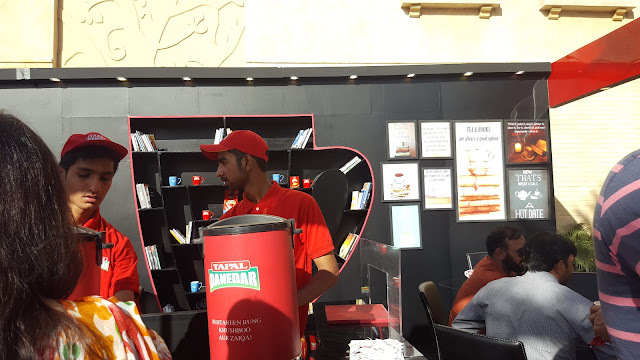 On its last day, ILF also hosted many book launches including Intikhab: Khalida Hussain compiled by Asif Farrukhi, Intikhab: Masood Ashar compiled by Asif Farrukhi, The Aleph Review-Taufiq Rafat: Defining the Pakistani Idiom, Teesra Qadam by Nasira Zuberi and The Corporate Governance Landscape of Pakistan by Sadia Khan, and Kalaam e Aarifaan by Hasan Aziz. The closing ceremony of ILF was followed by an enthralling dance performance by Shayma Saiyid which was widely acknowledged by the audience. She dedicated her performance to Mashal Khan, a student beaten to death in Mardan. The increasing number of participants in all halls, in the corridors and food-court is testimony to the fact that the ILF is a popular event now. This is all for today, i hope you enjoyed reading this post. For more please keep visiting my blog. Disclaimer: This is a press release but all the pictures used are taken by me on the third day of ILF.